Magazine3 is a premium WordPress themes design providers. Their premium quality WordPress themes have all the latest features like High SEO, Custom Post options, Theme Options, Control panel and many other advanced features. ProBlog WordPress Theme is professional Blogging theme from their WordPress premium theme gallery, is a high quality theme which provides all above option with some additional features which we are going to see in this article. Every element of this theme is well crafted and makes your blog/website look like great design Blogs. ProBlog WordPress theme takes your blog to a completely new level and you get maximum exposure to the blog posts. Header design is really cool. They have placed a Search Bar in the header and large social media buttons on top of each page. Magazine3 team have obviously given consideration to how bloggers will make money with their site as the header features a 728×90 banner prominently beside the website logo. They have also added a small navigation menu above this area. On the home page there is a rotating slider that shows the latest 4 posts. Clicking on a thumbnail here changes the article that’s shown on the left hand side on the slider. There is another featured post area that displays the latest 5 posts from the specified category. Both the slider and also the featured post area might be displayed throughout your site or only on the home page. It allows you to customize the layout of each post from the post editor. Hence the output will look like a perfect magazine theme. It actually revolutionizes the simple blog format which is used widely. I never saw this feature in any other theme available on the web. With this great option of Post Formats, you can easily control how posts will look on Homepage. You can keep thumbnails in left, right, center, a video or the classic blog post format. Magazine3 team provided Theme Options, where you can manage everything like you can add your logo, customize navigations, setup featured categories & ads in just few mins. 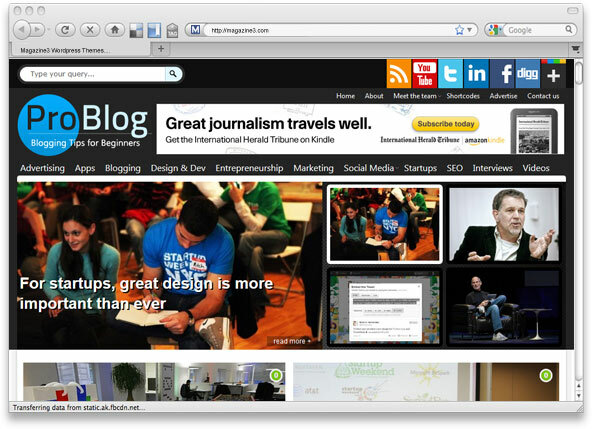 You can setup awesome professional Blog or Magazine in few minutes. 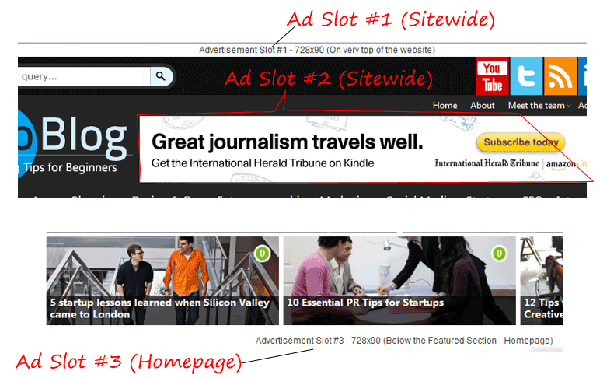 ProBlog has 7 different advertisement placement areas with on/off option, Plus an ad widget for sidebar to add anywhere in sidebar without adding title. These include an ad slot above the social media icons at the very top of the page, the 728×90 banner, below the slider and featured area on the home page, above posts, below posts, above the footer and above the main navigation menu on categories, archives and author pages. Integrated with Joost de Valk’s ‘WordPress SEO’ by default. Whether it’s Title settings, Sitemaps, Permalinks, Indexation or RSS; You got it! WordPress Widgets are designed to provide a simple way to arrange the various elements of your sidebar content without having to change any code. 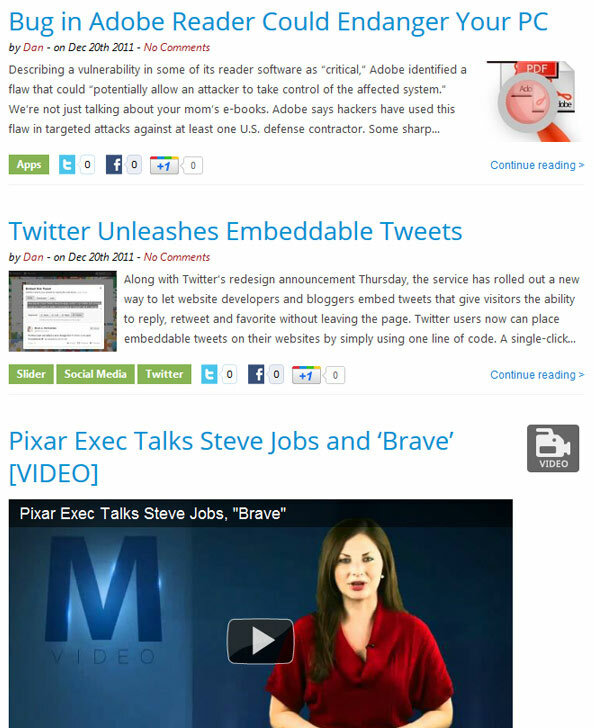 ProBlog WordPress Theme comes with several great widgets. 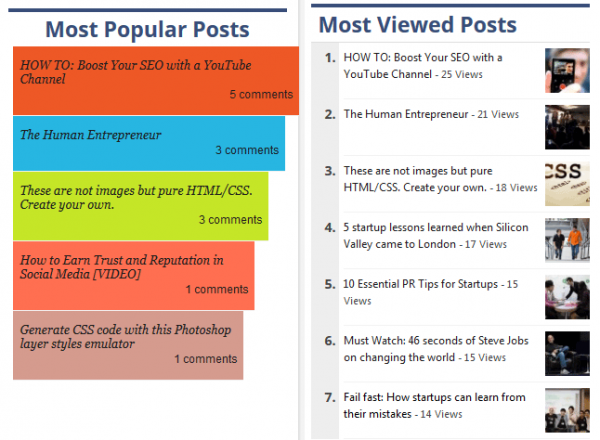 There is a tabbed widget that shows popular posts, comments and tags; a social stats widget which is similar to Easy Mashable Social Bar and cool most popular posts widgets. In Single post, you will find a related posts area below each article to encourage visitors to stay on your blog and read much more of your articles. A social media share box added on the left hand side of the page too. All licenses have lifetime support, lifetime updates, documentation and tutorials and the Photoshop PSD file of the theme logo. There are three licenses available for people who want to use the theme on one website. The basic license is $49 but makes it necessary that you retain the link back to Magazine3. For $59 you’ll be able to remove the footer link and for $69 you can get the Photoshop PSD file of Layout Elements. I am amazed to see lots of great features in this ProBlog WordPress Theme. As Thesis and Genesis are the most popular WordPress Themes available on the web but they cost much more. I recommend to go for ProBlog WordPress Theme as the cost of the theme is not as high and it comes which some extra ordinary features with great options of customizations. ProBlog WordPress theme is unquestionably recommended for bloggers. 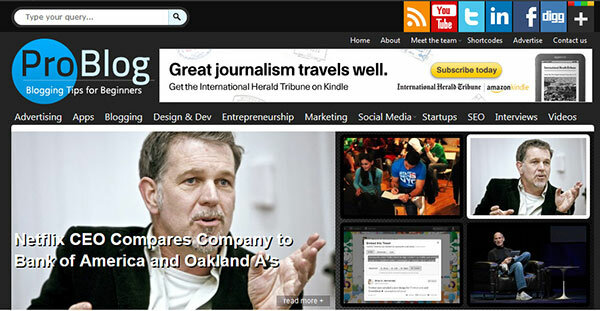 It can be used in technology blogs, business blogs as well as for general blogging/news websites. Are We Sure Nofollow Links Are Worth Nothing?